Too Saucy: Where's a geek when you need him? Where's a geek when you need him? I really need my own IT department. I'm fairly tech savvy. I can usually figure out the basics of smart phones and operating systems and wifi and all that good stuff. But there are so many choices now when it comes to phones it can get mind-boggling. Part of the problem, of course, is the phone companies don't make it easy to compare, er, apples to apples - so to speak. I'm a big fan of Google's Android operating system, which is now, by the way, the fastest growing phone OS in the world. 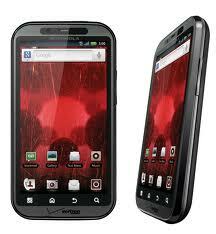 I have the Motorola Droid, the OG Droid as it's called on the phone fan boards. I like it a lot, love the whole Google experience, the free GPS, ease of syncing contacts and calendar and documents with my desktop PC, etc. But my two-year contract expires later this year so I want to upgrade. I'm staying with Verizon as they really do have the best network. But do I really need 4G, which is faster, but more expensive. Is 3G enough anymore? And now Verizon will sell the iPhone. I never would have considered the iPhone on the AT&T network, but I've played with it and it's a nice phone, but I really do like the Droid experience, so want to stay with it. Except, here come the tablets, just to add more indecision into the mix. Is it worth getting one of them instead of a new phone? Keeping the OG, which works just fine, but doesnt have all the latest bells and whistles and probably won't be getting too many more Android system updates from Google? Two years is a lifetime for these smart phones. 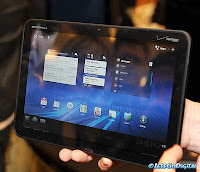 Some tech sites are saying - gasp - the XOOM is much better than the iPad. Do I get a new phone and a new tablet? And if I get a tablet, do I get wifi only or get it with a data plan? I'm already paying for a data plan on the damn phone. How much money do the bastards want!!! Sorry, Snapped for a moment there. It would all be so much simpler if I had an unlimited budget to get everything. I don't get why so many people are going crazy for tablets? The just seem like their less powerful than a laptop but cost more! What am I missing?